In 1969 he began his piano study in the college of music Berlin with Prof.
Gerhard Puchelt, composition with Prof. 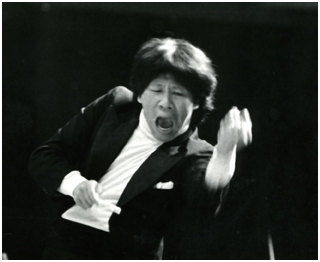 I Song Jun, and directing with Prof.
more than 400 images in the time in the opera-house from 1982 to 1990. Borodin, Korsakov, Brahms, Richard Strauss, Bruckner, etc. and did several CD admissions in Moscow. he often appeared as a concert pianist and conductor in Italy. and contests for piano and violin, e.g., in Guang Zhou and Peking. Oldenburg, Bremen, Nuremberg, Moscow and Verona. Hayama, Nihama, Guang Zhou, Taipei, Hong Kong. Ceborateva count to his guests, etc. Gala with the Frankfurt Symphonics and the Opera performances Tosca, Carmen and Aida. became in Soave, Monteforte, and Racconigi the freeman of Italy appointed. organisation " people for people ".